Tonight, the 3 day show comes to a close. Yesterday, the heat races were concluded. Now, the mains get underway. 100 laps around the 3/8 mile dirt track will award a $50,000 check to the winner. 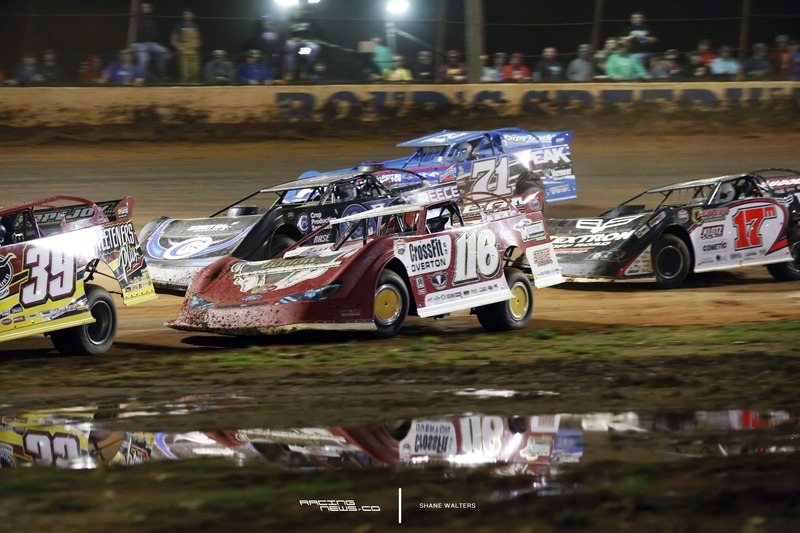 For the past two days, dirt late model competitors have been circling Florence Speedway. Racing from the previous two days have set the starting lineups for tonight’s B Main’s and A Main. View the 2017 North/South 100 starting lineups below. Tonight, the 2017 North/South 100 continues at Florence Speedway. On the table tonight, two rounds of late model heat races. View the 2017 North/South 100 results below. Dale McDowell and Eddie Carrier Jr line up first in the debut heat of the night. Tazewell Speedway photos from the dirt racing event featuring the Lucas Oil Late Models. Jimmy Owens won the dirt late model race at his hometrack. Hidden within the hills of Tazewell, TN is this tiny 1/3 mile bullring dirt track. This is one that’s been highlighted, circled and stared on my calendar, for months. Tonight, the Lucas Oil Late Model Dirt Series heads up those hills and unloads in Bloomquist Country and Owens Nation. This was a great race at Florence Speedway. It featured all 3 Lucas Oil Late Model Dirt Series Championship contenders running 1-2-3. View all the full Florence Speedway photos below. Tonight the Lucas Oil Late Model Dirt Series invaded Florence Speedway. It’s billed as a 1/2 mile clay oval. The track in located in Florence, KY near Cincinnati. View full Florence Speedway results below.